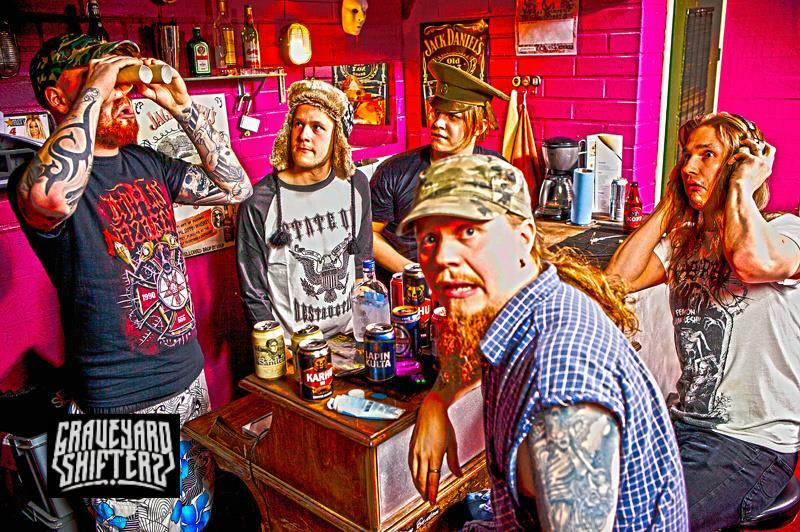 The Graveyard Shifters started in the fall of 2013 with singer J. Matilainen and drummer A. Salmenoja being abducted by alien invaders from the sky. Our heroes we’re forced to return back to Earth and make a change to the nowadays ‘polished music’ that infects our planet from all corner of the globe. Their mission: to create new music to blow YOUR mind. This is only to be the begining of the Graveyard Shifters tale and their relentless lust for music and partying. Since their formation, within six months the band recorded their debut EP “Brainwashed by Moonshine” (2014) which self-financed by recycling the empty beer bottles from the rehearsal rooms floor… And now it’s time to release debut album “High Heels & Broken Bones” (2015).